Are You Making These Mistakes When Buying Mutual Funds? 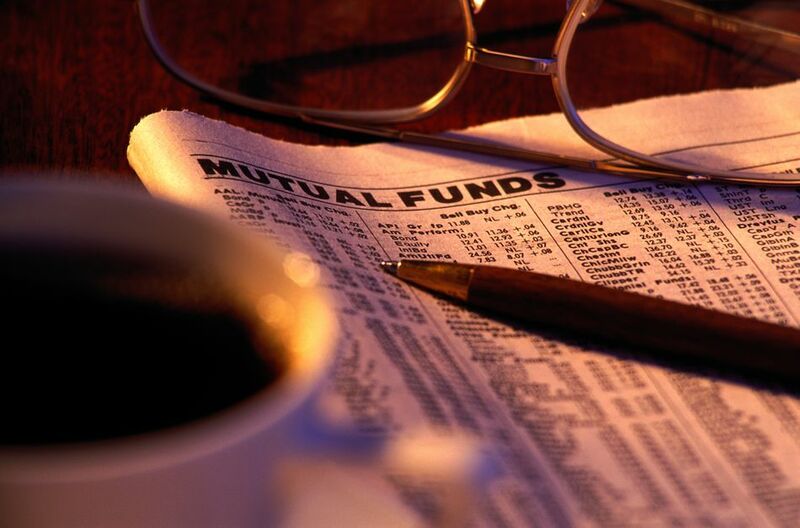 With over 10,000 mutual funds, when you go to buy a mutual fund, where do you start? Start by learning what NOT to do. You’ll keep more after-tax income when you avoid these five mistakes when buying mutual funds. Pop finance magazines have to sell subscriptions and advertising - to do so they use headlines like “Top Ten Funds to Own This Year." The editors and journalists do not know if these funds will make you money. No one knows if these funds will make you money in the upcoming year. There are factors, however, that have been proven to deliver over time (and being on a top ten list is not one of them). For example, Morningstar, a company that does research on mutual funds, notes that the single biggest predictor of top performing funds was not their own rating system of assigning stars, but the fund's fees. Lower fees directly correlate with higher performing funds. Index funds have the lowest fees. Be cautious of high fee funds. Those fees are lining someone else’s pocket; not yours. Why do low fee funds fare well over time? Because high fee funds typically take an actively managed approach. The fund must pay a team of analysts and a fund manager to try to pick the best investments. Because the fund has to pay all of these people, the fees are higher. That would be fine if the returns were also consistently higher, but they are not. The top performers one year are not the same winners the following year. This is why over time, a low fee fund or what is called a passively managed fund, which owns an entire category of investments rather than trying to pick and choose the best investments out of their category, has higher returns. A low fee fund does not have to earn additional returns to pay for the research staff and analysts before passing on its returns to investors. Actively managed funds are also less tax-efficient. Because these funds actively sell and buy investments they generate more short-term capital gains, which are taxed at a higher tax rate than long-term capital gains. If you find an actively managed fund you want, best to own it inside an IRA or other tax-deferred account where you won't get hit by large short-term gain distributions each year. Suppose you buy a mutual fund in October. In December that mutual fund sells a stock, it has owned for ten years. A pro rata portion of that gain is then distributed to all current shareholders of the mutual fund. So now you are paying taxes on a gain that occurred within a fund that you have owned for only a short time. As a matter of fact, if the market has gone down, your shares may be worth less than what you paid for them, yet you will still be responsible for paying taxes on a portion of this capital gain. When buying mutual funds in a nonretirement account, you can avoid embedded capital gains by buying tax-managed funds, index funds or ETFs. At the end of each year, you can also harvest losses by realizing a capital loss for tax reasons by exchanging one mutual fund for another similar fund. Many people own eight to ten different mutual funds and think they are diversified, but when you look inside the mutual funds, all the funds own the same type of stock or the same type of bond. It would be like sitting down to a well-balanced meal of pork, beef, and chicken. A well-diversified portfolio gives you exposure to large-cap stocks, small-cap stocks, international large-cap stocks, international small-cap stocks, real estate stocks, emerging markets, and various types of bonds. Before you buy shares of a mutual fund, look at the ingredients. Does the fund own something different than other funds you own? If so, maybe it will be a good addition to your portfolio. If you're not sure what the fund owns, seek professional guidance, or use a balanced fund or target date fund as these types of funds automatically spread your investment out over a diversified set of holdings. When you sell shares of a mutual fund that you have owned for at least 12 months, and they are worth more than what you paid for them, the gain is taxed as a long-term capital gain. You pay taxes on long-term capital gains at a lower tax rate than the rate charged on ordinary taxable income and interest income. However, if that capital gain is occurring in your tax-deferred retirement account, you don't get to take advantage of the lower long-term capital gains tax rates. Someday when you withdraw from the tax-deferred retirement account, everything that comes out will be taxed at the same rate as earned income. To keep taxes as low as possible you can use something called "asset location." It is the process of deciding how to tax efficiently locate certain asset classes across tax-deferred (like IRAs and 401(k)s, tax-free (Roth accounts), and taxable accounts (brokerage and mutual fund accounts). Bond funds might be best suited for tax-deferred retirement accounts and stock index funds for non-retirement accounts.